Mrs. Bettie Larue Parrish Turlington, 74, went home to be with the Lord on Friday, January 18, 2019 at her residence. Bettie was born November 6, 1944 in Harnett County, NC to the late Aldridge Parrish and Maxine Coats Parrish. Bettie was a secretary at Turlington Survey for many years. She was a loving wife, mother, and grandmother. Bettie loved archery, sweeping and keeping things clean. 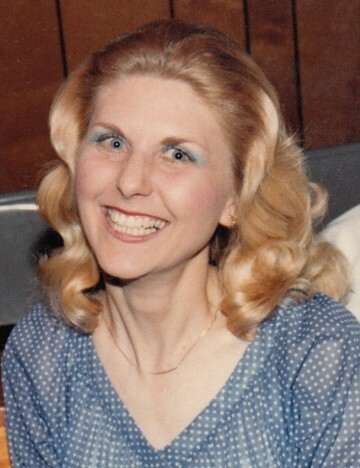 Bettie was of the Baptist Faith and she loved the Lord. Survivors include her husband, Larry Turner Turlington, Sr. of the home, children, Yvonne Turlington and Larry Turner Turlington, Jr. all of Franklin, NC; a sister, Patricia Nordon of Oxford, Alabama; two grandchildren, Jessica Stiwinter and Lacy Hopkins; four great- grandchildren, Anala Gibson, Kyndalin Dills, Jayden Dills and Ethan Stiwinter. In addition to her parents, she was preceded in death by her sisters, Joyce Turner and Frances Melvin. A visitation will be held from 6-8 p.m. Monday evening, January 21, 2019 at the Bryant-Grant Funeral Home in Franklin, NC. A graveside service will be held Wednesday, January 23, 2019 at 2:30 P.M. at the Coats City Cemetery in Coats, NC with the Rev. Michael Stephens officiating. The family will receive friends from 1:00-2:00 P.M. prior to the service at the Rose and Graham Funeral Home in Coats, NC. Bryant-Grant Funeral Home & Crematory is serving the Turlington Family.